(JTA) — Israel’s state Holocaust museum expressed concerns over a Polish group honoring three people it did not recognize as having risked their lives to save Jews. Joel Zisenwine, the director of the Yad Vashem museum’s Righteous Among the Nations department, said there is “fear that these actions may lead to misleading the public” in an email he sent this month to Holocaust commemoration activist Meir Bulka in Israel, who runs the JNerations group. Bulka had written to Zisenwine to complain about the honoring of three people in Warsaw last month by the From the Depths organization, which was founded by Jonny Daniels, an Israeli-British Holocaust commemoration activist. Daniels has said the three honorees saved some 3,000 people by granting them documents that allowed them to escape. “The basis for Daniels’ awarding of honors to rescuers of Jews is entirely unclear,” Zisenwine wrote. One of the honorees, Julian Kulski, reportedly “had been appointed by the Nazis as acting mayor of Warsaw, demanding the leadership of the local Ghetto to reduce its size, vacate apartments etc.” Zisenwine wrote. Yad Vashem had considered a request for recognition by the man’s son, but rejected it in the 1980s “due to conflicting testimonies and contradictions with other sources, that give a slightly different picture of his attitude to Jews,” Zisenwine said. Among those who said Kulski helped saved the lives of Jews was Duda Falik, who told Yad Vashem in 1980 that Kulski hid her parents from 1940 to 1944. Daniels told JTA that his group did not give any titles but defended its decision “to say thank you” to Kulski and any other person that it deems worthy of such a gesture based on its research and that of the Polish Institute of National Remembrance. Recognition of Poles for saving Jews in the Holocaust is a sensitive issue. 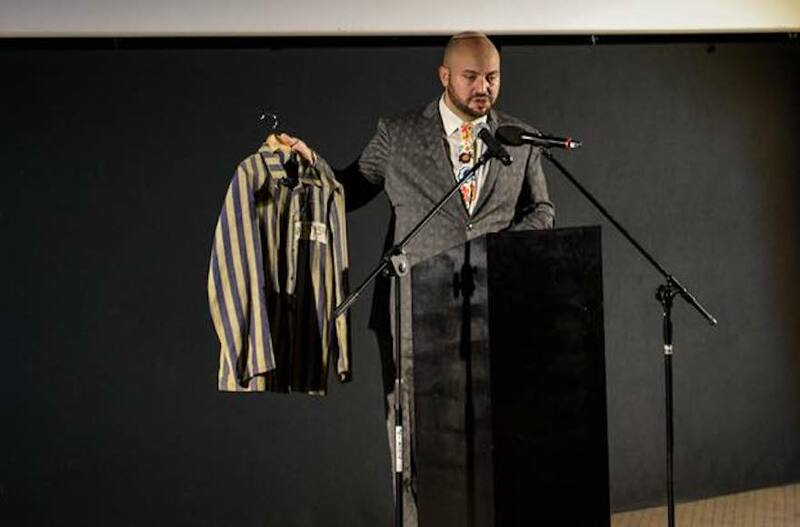 Efforts in this field by Poland’s right-wing government have exposed it to criticism by some Jews who say it is highlighting Holocaust-era heroism to eclipse complicity. Yad Vashem has recognized 6,863 Polish Righteous — far more than in any other country. But in February, Polish Prime Minister Mateusz Morawiecki said that Warsaw alone had 90,000-150,000 people who risked their lives to save Jews. Daniels’ advocates say he has made partnerships that reduce anti-Semitic rhetoric there. His critics, including Polish Chief Rabbi Michael Schudrich, have accused him of helping the government politicize debate over the Holocaust, including in its passing this year of a controversial law making it illegal to blame Poland for Nazi crimes. Daniels, who in February criticized a statement by Morawiecki as a form of “Holocaust denial,” defended his work as apolitical and devoted to preserving the memory of the Holocaust, as well as building cultural ties between Poland and Israel.